Huckle Cat and Lowly Worm have fun learning about colours, counting, the alphabet, manners, shapes and sizes and much more. 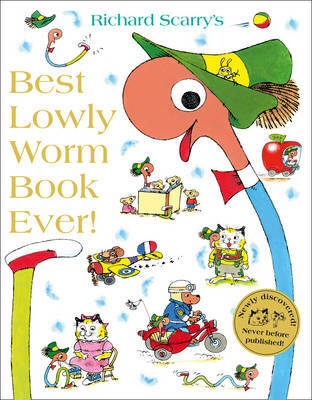 The Best First Book Ever helps children to become familiar with over 700 words. Each large, colourful illustration is packed with everyday objects and details, all clearly labelled. Those loveable Scarry characters introduce basic subjects: the alphabet, counting, shapes and sizes, parts of the body and more! Best of all, this book is fun! 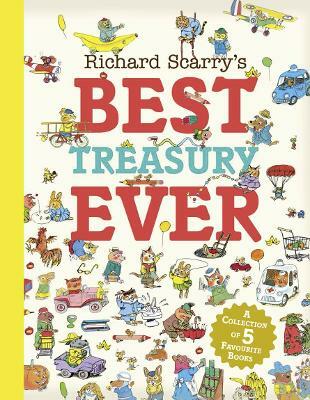 Like every Richard Scarry picture book it will provide hours and hours of educational entertainment!